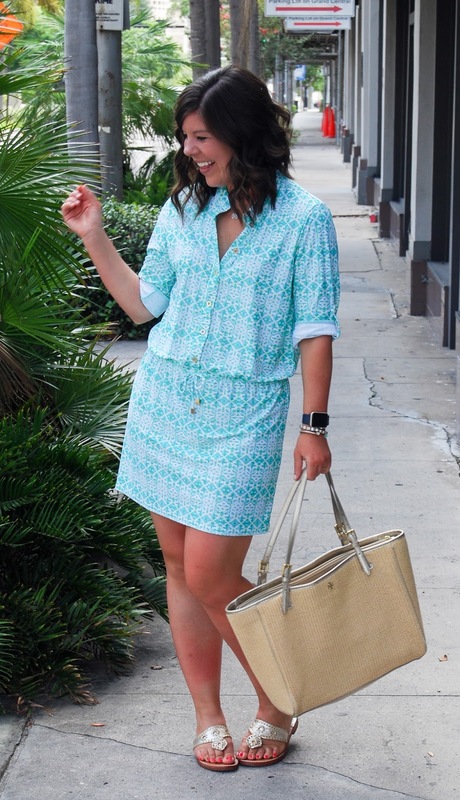 A shirt dress is one of the most classic silhouettes a gal can have in her closet and I’m super excited to have added a new one to the mix. 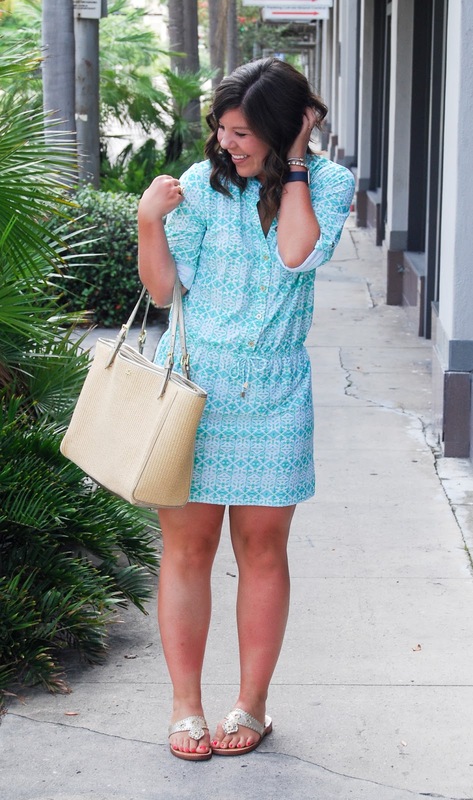 And this dress has a little something extra- serious sun protection! As you can see in these photos, I got a wee bit of sun burn last weekend (forgot the cardinal rule of reapplying sunscreen), which has made it all the more evident that I need sun protection at every turn! 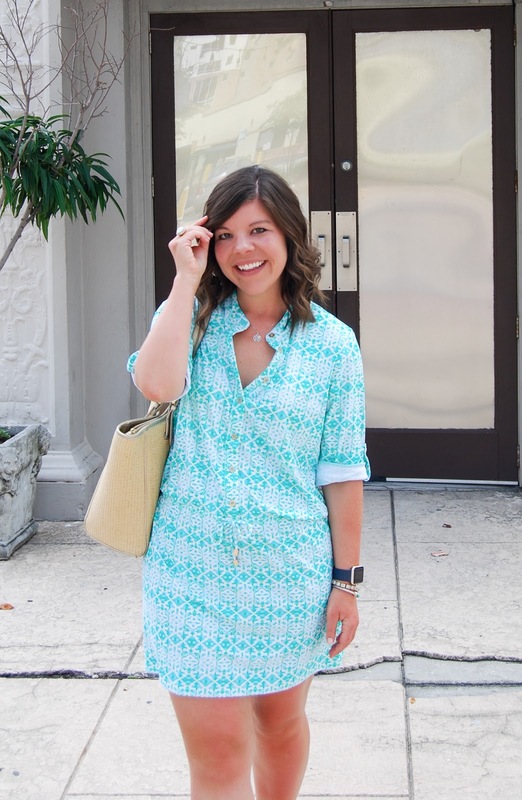 I wore this dress from church, to brunch with my sister, to studying & working on the blog, to dinner with my family- and it was so comforting to know that my skin was safe and protected from the intense Florida heat! Add on the fact that the comfort level is like 100% and it didn’t lose its shape at all during the day- I think it’s the perfect closet addition! In other news, I totally binged on the final season of Hart of Dixie and I just couldn’t love it more! I still have a few episodes to go, but if you need something lighthearted and just SO happy then I can’t recommend it enough! If only Bluebell was a real place… I’d be there in a heartbeat! 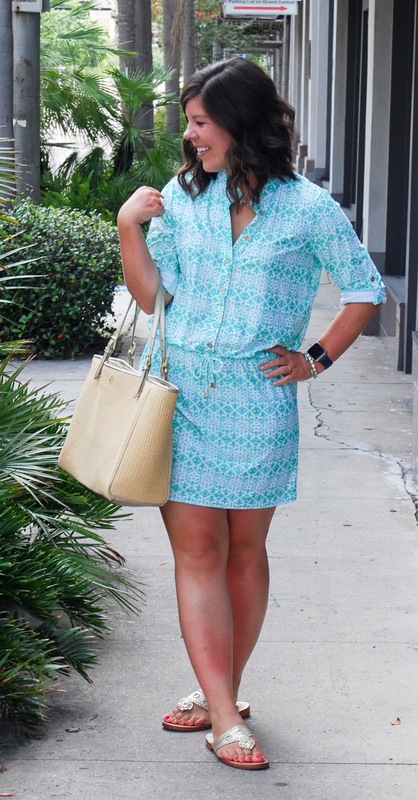 That is the comfiest dress to wear on a holiday! You look darling! You look adorable!! 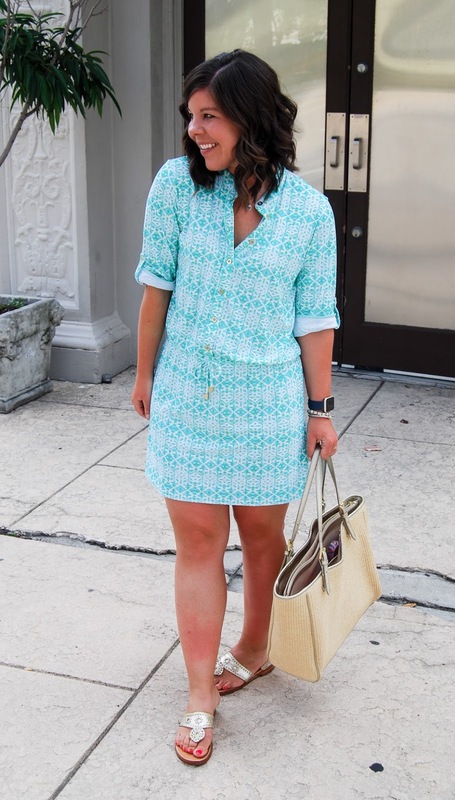 Love the color and pattern of that dress- so cute!!! Oh I am a huge HOD fan! It's such a fun lighthearted show! The last season is so bitter sweet. I am still sad that it ended. Lemon is the best! 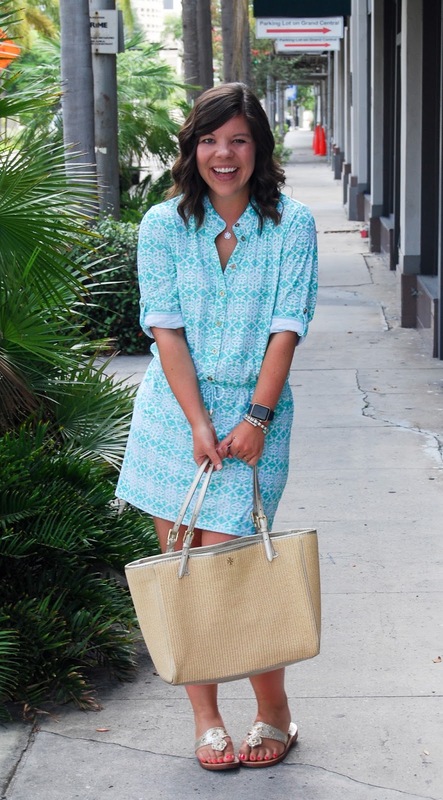 Love this cute dress, so perfect for summer. I totally agree!! I have 5 episodes left and I am desperate to know how it wraps up and also don't want it to end! I <3 Wade! 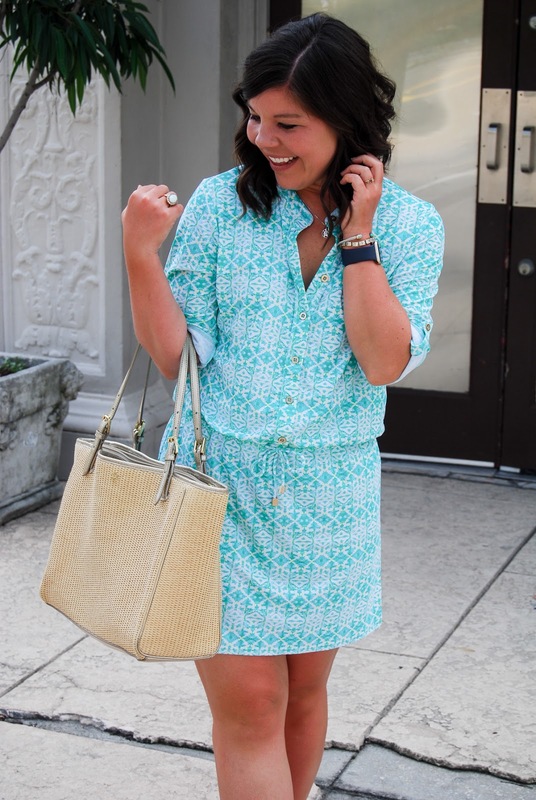 This dress is so cute! I love the color! Also… totally agree about Bluebell! I need to live there!! 🙂 Happy Monday! HOD is such a guilty pleasure for me! It was an adorable show. I need another one to watch now. =] Cute dress! I love that it is so versatile. 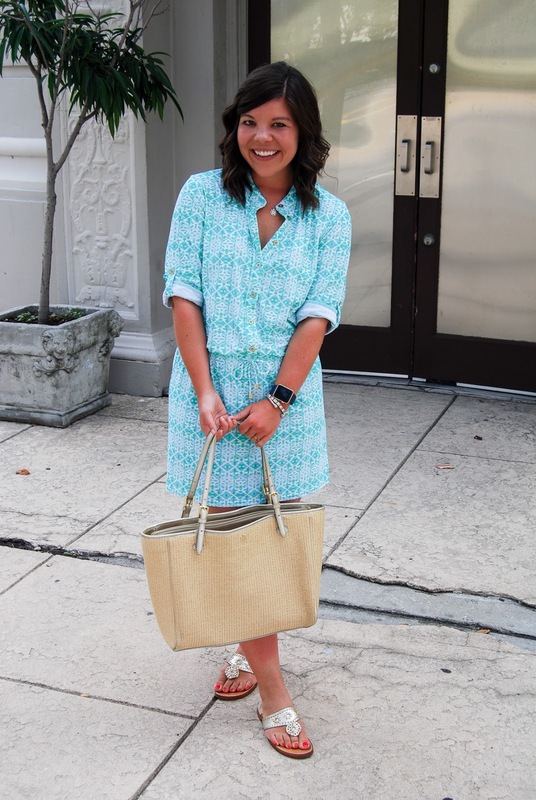 That dress is adorable on you! 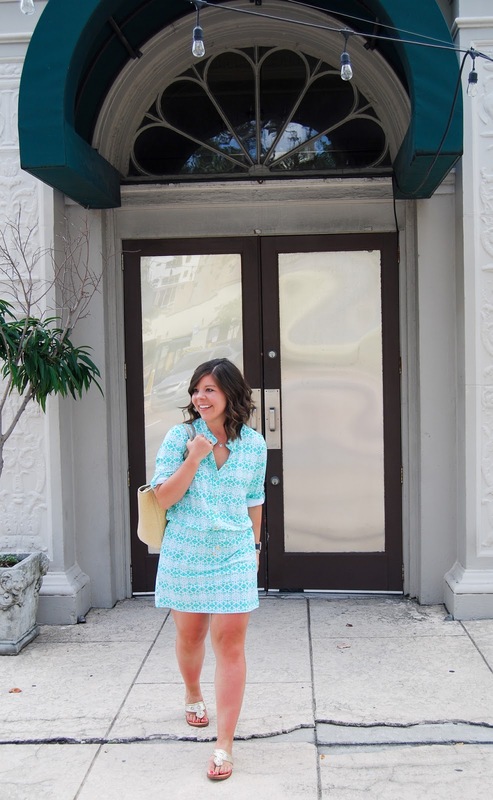 You can't beat a good shirtdress. I loved Hart of Dixie! So cute! That dress looks os cute and comfy, and I love the color!